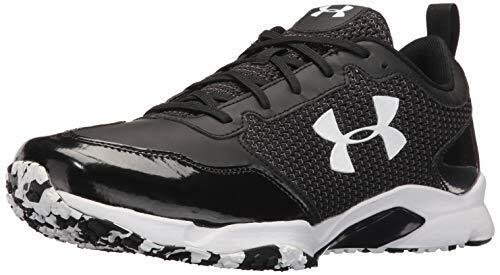 If you’re a baseball coach or a player, you’re going to need baseball turf shoes. For those who just like to watch baseball on TV or live in a stadium, it may seem like baseball requires cleats only. But that’s a misconception. Just about everyone who plays baseball knows this. Take a look at what’s at the feet of the baseball coaches. Those aren’t cleats at all. They’re turf shoes. They work well on the harder surface of the dugout. During practice indoors, the tread of the turf shoes work much better in providing traction. For practice on the baseball diamond, these turf shoes don’t tear up the playing surface as well. For these reasons, even baseball players need turf shoes too. They need it to practice and improve their skills, whether they’re on a baseball field or inside an indoor gym. Turf shoes are also the better choice of cleats when you’re playing on artificial or field turf. It’s called “turf” shoes for this very reason! So how do you buy one? If you’re just a regular sneakerhead, then you’ll buy them for the look, the general comfort you feel when you wear them for parties and for hanging out, and perhaps even for its “collectability”. Price. Everyone has a budget, but fortunately it’s much easier to fit a pair of turf shoes even with a modest budget. You rarely (if ever) have to get into the 3-doifgit price range even for the best baseball turf shoes. Of course, it does help when you buy online as there aren’t any overhead and retailer costs to cover. Comfort. This isn’t about how comfy you are when you’re at a club. Instead, we’re talking about how comfy you’ll feel wearing this for the whole day. That’s especially true when you’re a player and you spend a lot of time sprinting all over the field in short bursts. You’ll need a lot of cushioning, a soft shock-absorbent midsole, airy materials, and protection from small pebbles getting into your shoes. Tread. Usually, turf shoes have small rubber studs that really grip the surface of the turf so that you can push off with a foot without slipping on the surface too much. Lateral support. A lot of the running in baseball involves sprinting to the side and changing directions, so you need lots of lateral support so your ankles are protected. With good lateral support, your turf shoes can help keep your ankles from rolling. Weight. These turf shoes have to be light. Bulky shoes don’t really have a place in sports, and that’s especially true for baseball shoes. A light weight helps with your speed and comfort. Durability. How long your turf shoes last depends also on how often you use it, but another factor is the type of materials used for the pair of shoes. You need to have the right balance of tough synthetic leather with mesh materials. Sure, have lots of mesh will make it light and comfy, but that may not last long. 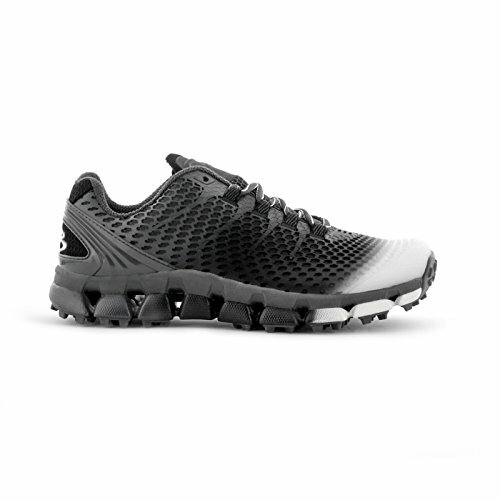 On the other hand, having too much tough synthetic can make the shoes more durable, but the very toughness of the material makes these turf shoes very uncomfortable to wear for long periods of time. Brand. This is another factor that may seem a bit vain and snobbish, but frankly in the sports shoe industry it’s crucial that you consider the reputation of the brand. The brand can help indicate the overall excellence and durability of the shoes. While a famous brand name will undoubtedly add to the price, it’s worth paying the higher price of the assurance of quality. With these factors in mind, I’ve compiled a list of superb men’s baseball turf shoes that should match your needs. So far these are among your best options, though some newer models on the horizon (there’s been a few rumors about an excellent pair of Puma baseball turf shoes) may join this list in the near future. New Balance has always had a good reputation in the shoe business and the last decade or so they’ve also been creating awesome gear for baseball. On the baseball field they focus on teamwork winning and safety, and on those factors New Balance is doing more than alright. The New Balance baseball turf shoes offer a nice mix of synthetic and mesh upper for breathability, lightness, and support. This also includes the “Fantomfit” feature, which is a thin film located along the saddle. This feature really bolsters the breathability and support even at such a light weight. It uses the proven Probalance sole platform, with a nubby turf outsole for high traction. This really gives you the traction you need. You can also find the advanced REV-Lite Foam midsole on these turf shoes, which makes sure that the shoes remain light and responsive. This provides the support you need for all that running. Then there’s the revolutionary “Drive Zone”. This is an area of the insert which has a different texture. It’s been discovered that the power you need to accelerate your speed comes from loading up on your first metatarsal and big toe area. This textured insert reminds of that fact. You also have the debris-free tongue. The design and construction of the tongue keeps ways small rocks and dirt from getting anywhere near your foot. 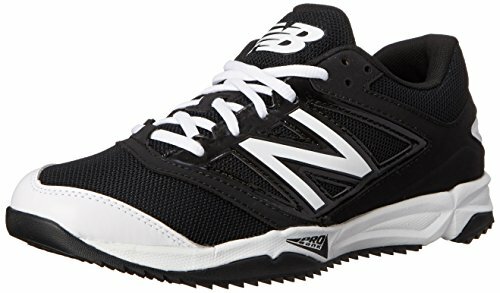 Just because baseball involves a lot of running doesn’t mean this T4040V3 Turf Baseball Shoe is actually a running shoe. No, it’s not—it just doesn’t offer the right amount of support for constant running. 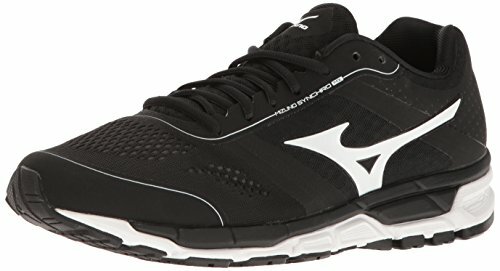 This Japanese brand is famous in the baseball industry, so it shouldn’t come as a surprise that they also offer a particularly excellent pair of training shoes that you can use for baseball. They look good without being too flashy. The red baseball turf shoes look particularly striking. It’s extremely comfy to wear, even after many hours of play. That’s mainly due to the completely new sole construction that offers extremely soft cushioning. The strobel board uses the U4ic compound that adds to the cushioning of the midsole. It uses a specially engineered mesh upper that offers great durability along with the breathability for comfort and lightness. It only weighs 10 ounces. If you’re ordering these online without trying them out first, you may want to order a larger size than usual. They seem to fit smaller than expected. Nike continues to dominate the sports shoe industry, and that’s not about to end soon. 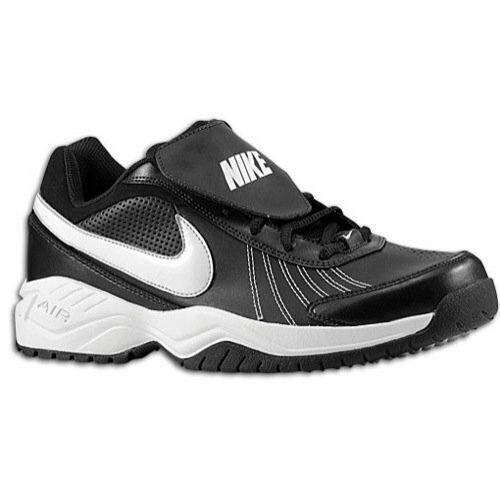 They continue to produce premium quality performance shoes, and this pair of Nike baseball turf shoes is no exception. Lightweight synthetic leather combination with removable tongue flap. Full-length Phylon midsole with Air-Sole unit in heel. Rubber outsole combines our nubby bottom outsole with cross training traction to meet the on-field needs of MLB players. The upper is made of synthetic leather, so you get durability and support, as well as a great fit after you break it in. You still get the ventilation you need for summertime fun, as there are perforations in the midfoot, toe, and ankle. The tongue is also made of breathable mesh. It’s very comfy, thanks to the Phylon midsole and the Air-Sole unit in the heel. You get the grip you need with the nubby bottom outsole along with the cross-training traction. For a pair of Nikes, these turf shoes are surprisingly affordable. Hopefully you’re already aware that Nike sizing tends to run a little smaller. So you’ll need to order a half or full size bigger. The color options are very limited, with black and white along with metallic and silver options. That’s it! The Under Armour brand has been taking great strides in the sneaker industry these days, and now many consider it a brand that can compete with Adidas in trying to chip away at Nike’s dominance. The brand rep is more about tech and performance rather than about “coolness” and looks, but then that seems like the proper order of priorities. It weighs just 10.6 ounces. The non-marking rubber outsole offers great traction for a wide variety of playing surfaces. It uses a great mix of synthetic leather and breathable mesh. The high tech “SuperFoam” insole offers both comfort and shock absorption. The special full-length “Micro G” midsole is very light and responsive, and it allows you to stay lower to the ground for improved comfort and natural stability. Who wants to wear high heels when playing? You can pick between black and white. These are your only color options. For casual baseball fans, Boombah isn’t a household word because they don’t believe in celebrity endorsements. Instead, ever since they made their first baseball footwear in 2003 they’ve been involved in grassroots baseball programs to promote their shoes. These shoes are also generally more affordable, but that’s not because of low quality. Instead, they’ve minimized their advertising and almost all their products were sold directly by the company. Taking out the middleman keeps the prices lower! There are a lot of color combinations to choose from. There are 38, in fact. The special design uses a “protection system” that mixes the use of mesh with a lightweight cage for a one-piece upper that offers durability, support, and lightness. It only weighs 9 ounces. The stability comes from the reinforced TPU (hard plastic) heel counter that prevents toe drag. Eyelets are also reinforced with TPU hard plastic. It’s not a brand that sneaker elitists care much about, since there aren’t any famous endorsers. Forget about wearing cleats on turf, and don’t use ordinary sneakers for indoor practice. For both situations, you can use turf shoes whether you’re a coach or a player. You’ll reduce the risk of injuries and you’ll perform better too. That’s especially true when you pick among the best baseball turf shoes I’ve listed for you.